The winter often brings foul weather and tricky road conditions, including rain, low light and sometimes even snow to Nevada roadways. This leads to more hazardous driving conditions due to the elements. Coupled with Nevada's large tourist contingent that may not be familiar with the area, accidents seem to swell during this time of the year and whether it’s a distracted local or an overwhelmed tourist, many of the folks behind the wheel these days are potential hazards. By incorporating these two techniques for defensive driving into your daily practice, you can keep your car intact and your family safe. Watch as a car approaches from your rear, and you will see it come into full view in your rear-view mirror. Just when it disappears from that mirror, it should appear in your side-view mirror. And just when it disappears from your side-view mirror, it should be abreast of you on the left side. Finally, watch as it overtakes your car and enters your normal field of vision. 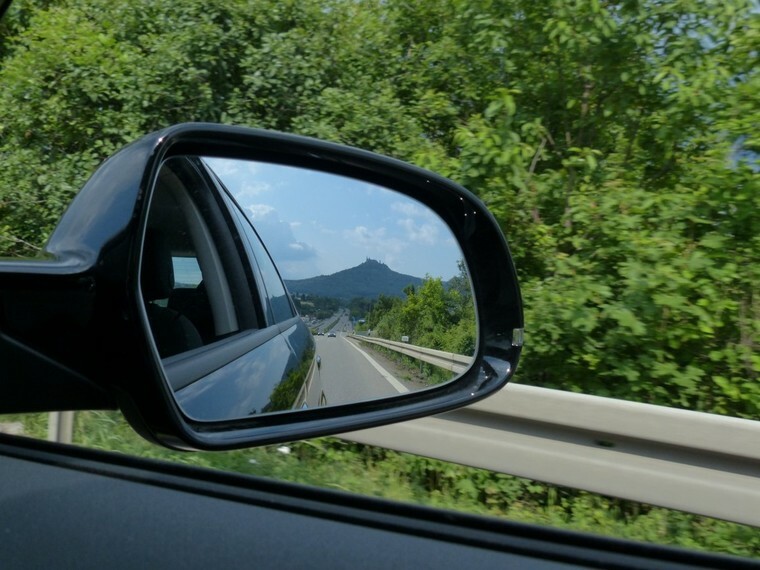 As you can see, your mirrors are adjusted so that a nearby car – no matter where it is relative to your vehicle – will be visible if you routinely check your rear and side mirrors and your “blind spot” to your immediate left. The same can be done with the other side of the vehicle, creating a nearly unlimited field of vision that you can access by shifting your gaze between two mirrors and two head turns. Seeing driving hazards is key to avoiding them, and this method can make you safer on the road. When you were first learning to drive, you knew all the things you should do as a driver: keep your hands at “10 and 2” on the steering wheel, allow ten feet of following distance for every 10 MPH of speed, and never pass on the right. With time and experience, many people stray from these commandments. With one hand atop the wheel, some people drive bumper to bumper and weave across the lanes of traffic without thinking. A significant portion of Nevada automobile accidents happen during lane changes, and the legislature recently enacted a “left-lane” law that imposes fines for drivers who impede the left lane from being used to overtake slower traffic. There are many reasons to only pass on the left. One, again, is the new left-lane law: if other drivers are obeying this law, you should always have a passing lane available unless traffic is at a standstill. Second, it is easier for drivers to check their near (left) blind spot than their far (right) one. Third, if the other driver needs to change lanes abruptly while you are passing them, they are more likely to have an open lane (or shoulder) to veer into if you have passed them on the left rather than on the right. Finally, it’s the law to pass only on the left! Defensive driving means following the rules of the road while presuming that others will not. If you have been hurt in a Nevada automobile accident and need a Las Vegas car accident lawyer, local firms like Benson & Bingham offer free consultations to advise you of your options.